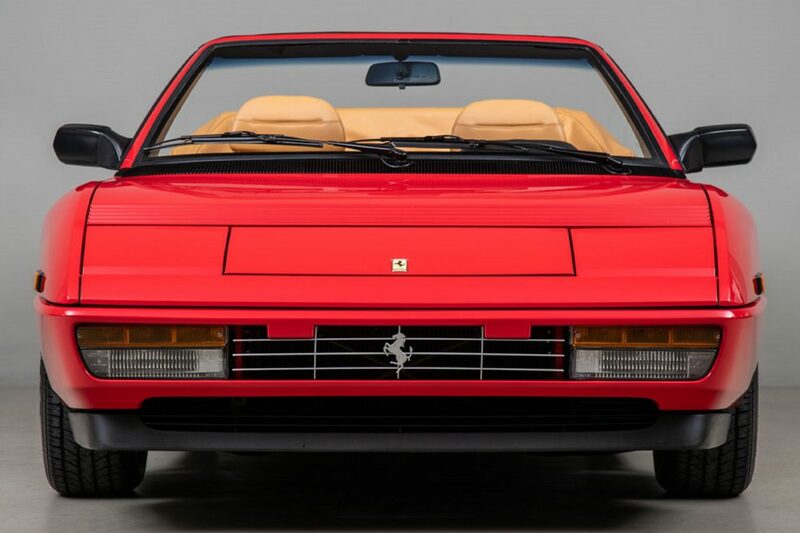 Let’s get the obvious bit out of the way first… no the Mondial is not as classically beautiful as its two-seater stablemates from the same era. 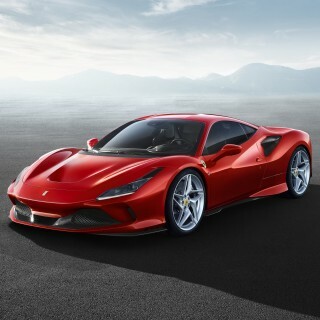 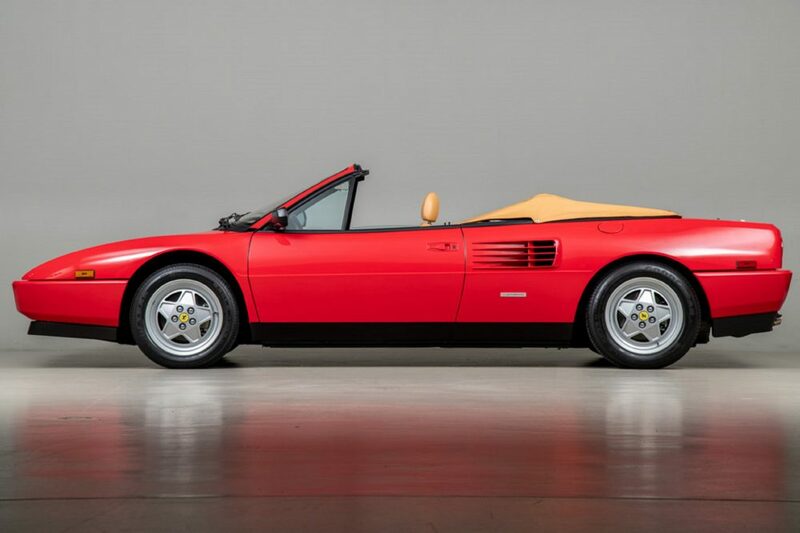 Its elongated mid-section makes certain of that, but if judged by Ferrari Enzo’s philosophy that you pay for the engine and the rest is thrown in for free, then this car is every inch a Ferrari. 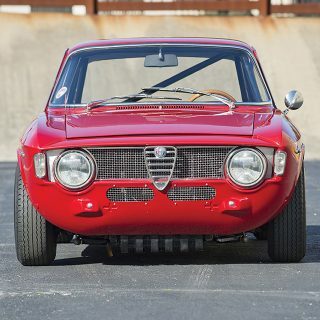 That said, the later models received a number of visual upgrades and detail tweaks to help improve both the looks and the aerodynamics. 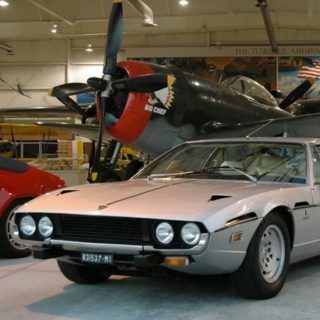 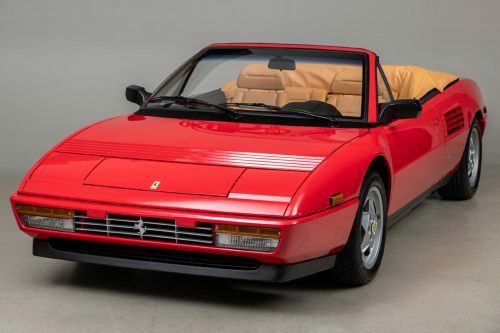 The Mondial t you see here is actually the final evolution of what remains the only mid-engined, four-door convertible ever to see production, and as such comes with a 300hp 3.4-liter V8, 5-speed manual transmission, adjustable suspension and ABS. 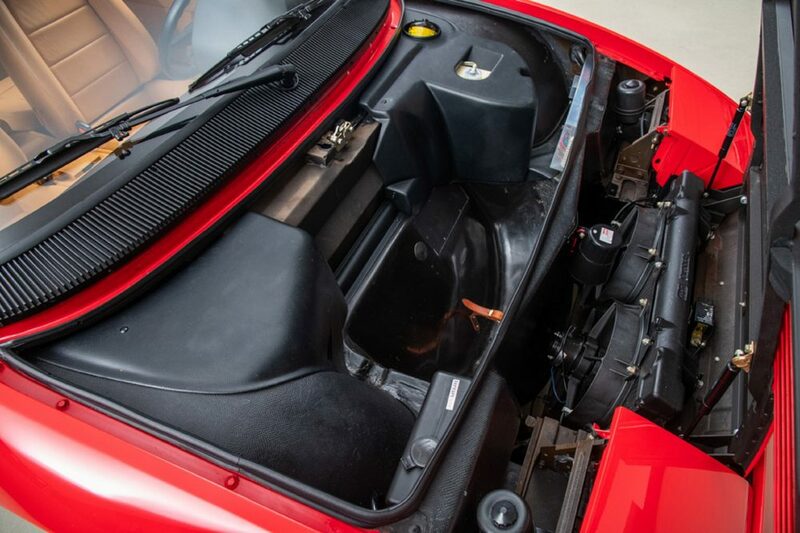 That little “t” at the end of the model name refers to the fact that the engine was now mounted longitudinally with the gearbox remaining in a transverse position, thereby forming a T. Mounted low down on a removable subframe, it made servicing easier and also improved handling. 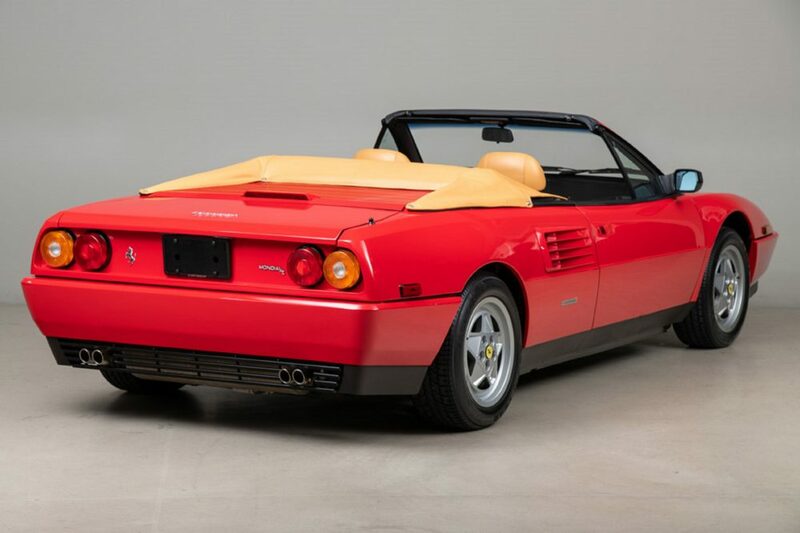 Of the 1017 Mondial t Cabriolets built, approximately 379 found their way into the US and this particular one must surely be one of the best examples out there. 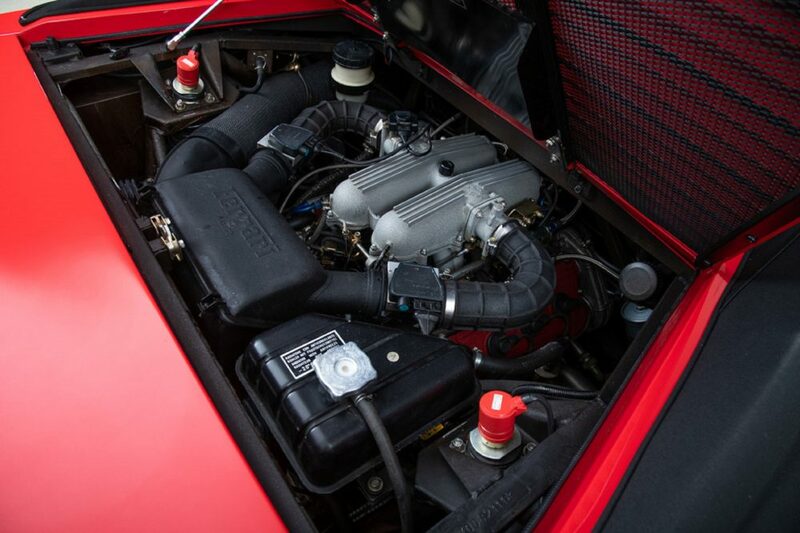 Having covered only 584 miles since new, it is unmodified and original in every respect and has just undergone an engine-out service to ensure that it is ready for its next owner. 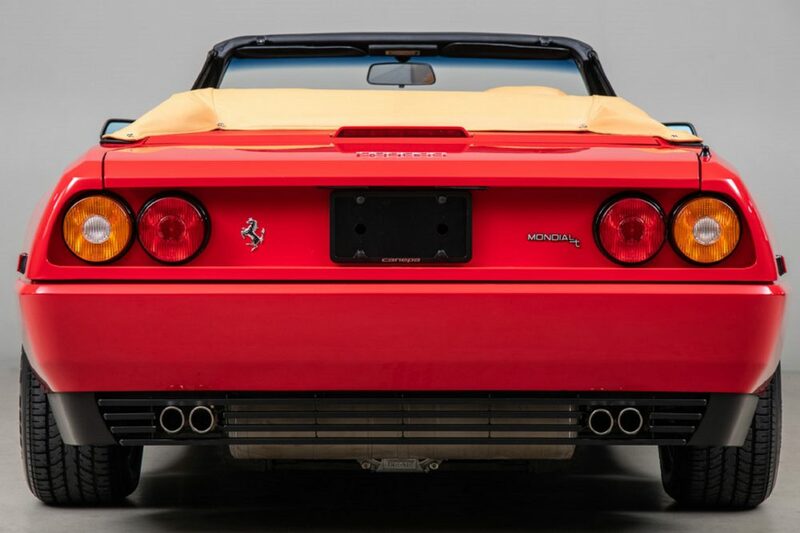 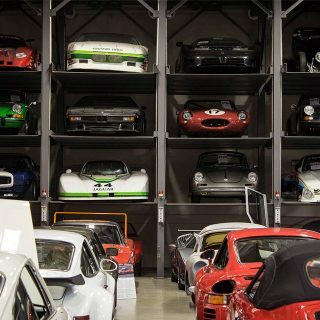 It has just been listed on classic and sports car specialist Canepa’s website and we can’t imagine that it will be sitting on their showroom floor for very long. 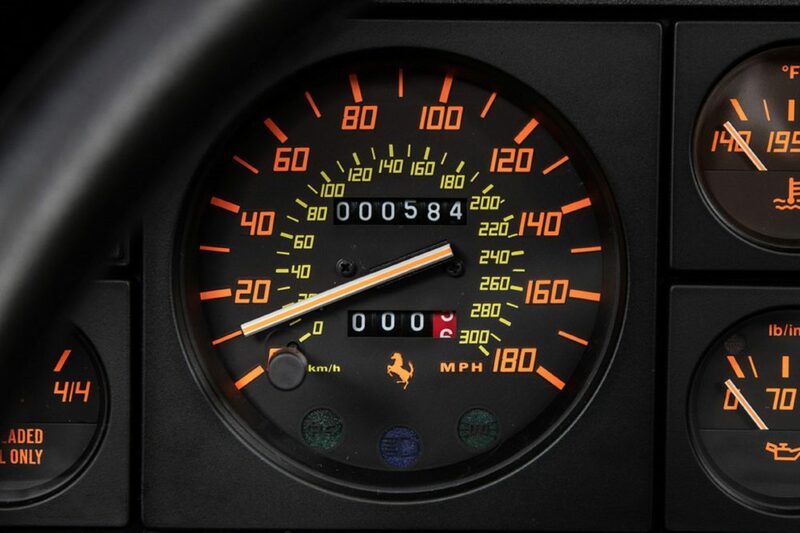 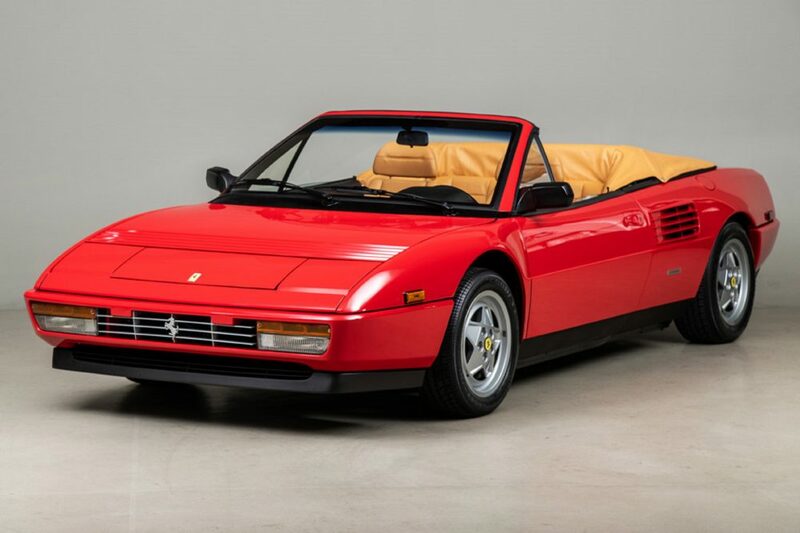 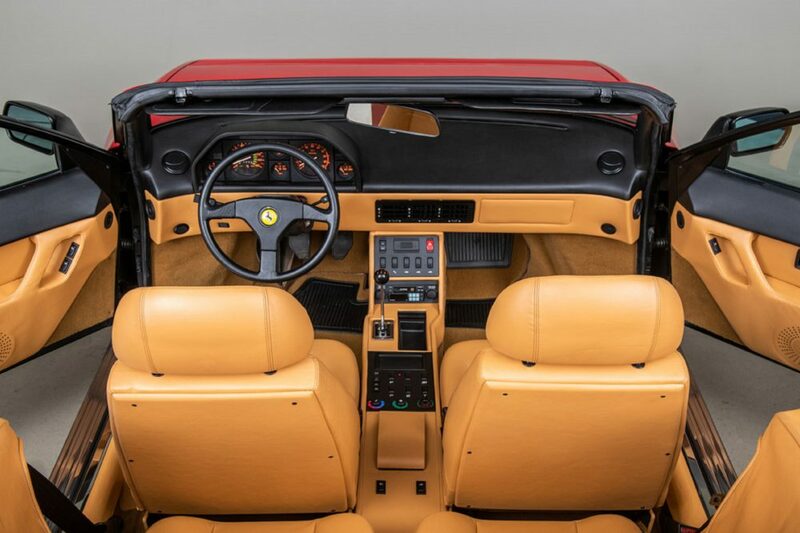 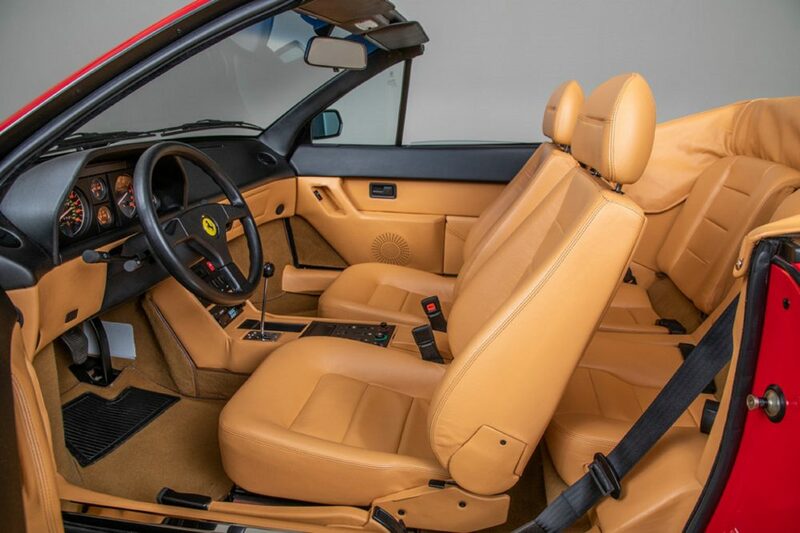 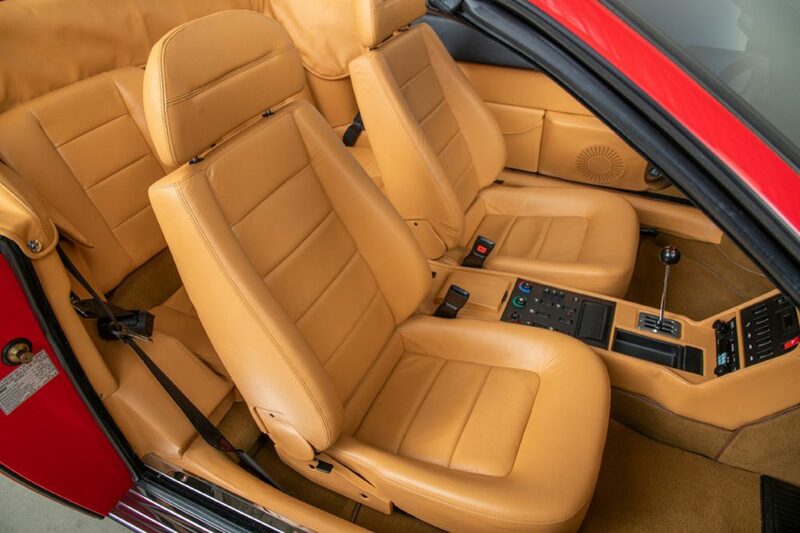 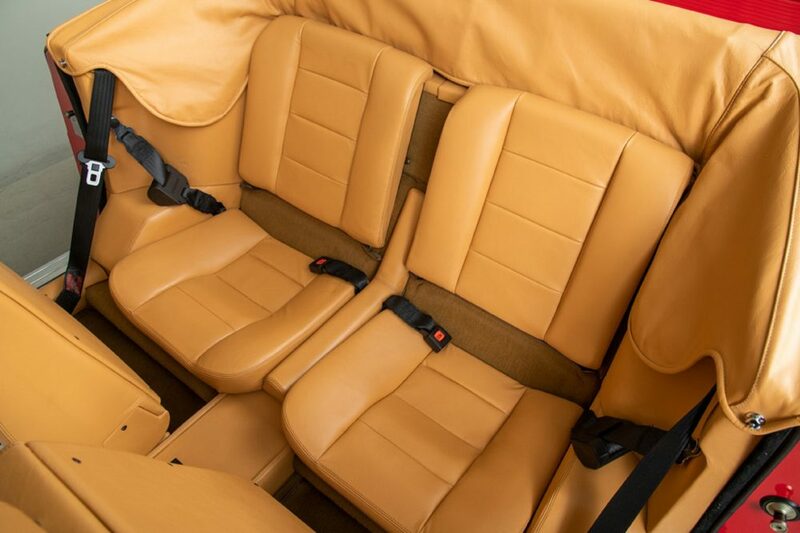 With space for four, a gated manual gearbox and a convertible top to better enjoy that sonorous V8, the Mondial may just be the perfect classic family-friendly Ferrari. 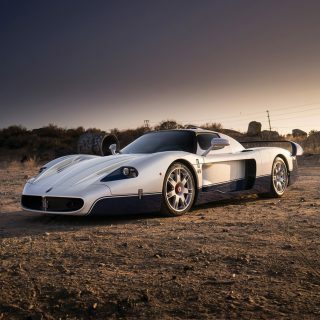 I managed to prise this particular QV from John’s personal collection!